The set #T is our low-priced beginner set and provides 2 tuners via a coax line in the network. 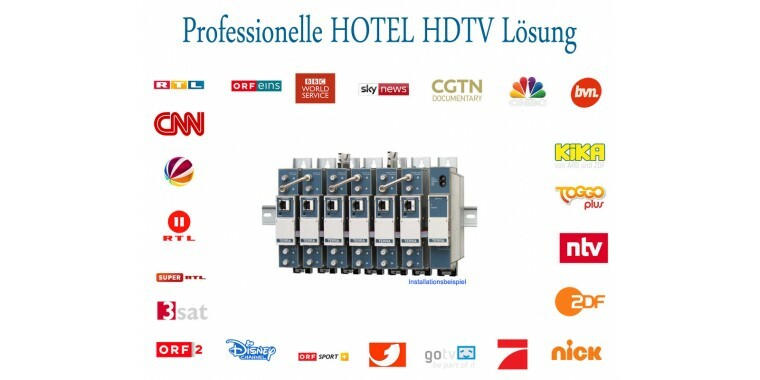 Optimally suitable if you want to use your SAT programs on the tablet, smartphone or in a room where you can not lay a SAT coax line. Another 4 receivers (2 x standard + 2 x Unicable) can be operated with this system. 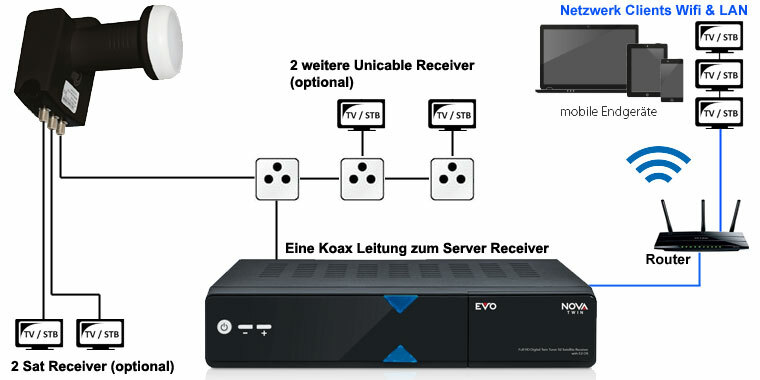 - 1 x Home All in One Server Receiver with 2-channel tuner EVO Nova Twin. - 2 tuners are provided via a coax line! - The SAT> Network Server is included in the Linux SAT Receiver. The main unit can be used to access 2 tuners. This system therefore only needs more coax cables from the SAT mirror to the main unit (living room). The main unit simply integrates with the network and dynamically frees the available 2 tuners for the network. This means the following: Is the main receiver in standby 2 tuners for IP clients (Linux IP Receiver, Smartphone, Tablet, PC, Notebook) free. Watching TV on the main receiver reveals a tuner in the network. 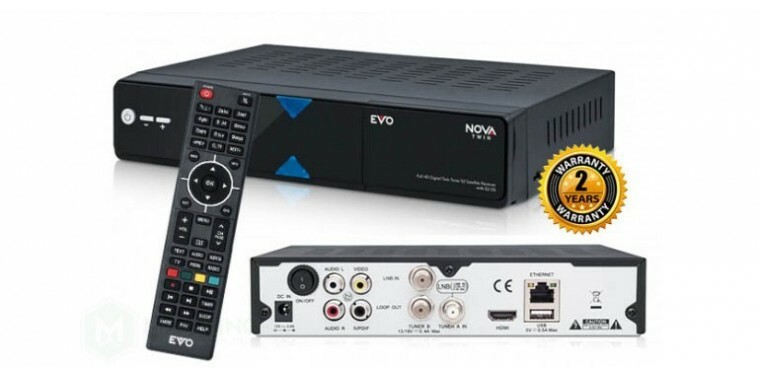 If you record at the receiver while watching TV, the network clients have access to the 2 transponders used. These are mostly around the 8-16 channels. 1 x Twintuner allows unrestricted twin use. You can connect your receiver directly to the Internet via the 100MBit Lan interface or the optional Wifi Stick. The NOVA Twin is particularly user-friendly in its operating options. For example, the receiver can be conveniently controlled remotely via the smartphone or tablet via the Dream Player app, without first having to take the remote control of the device into the hand. Yes, with the included Unicable LNB, there are even 4 receivers (tuners) available via just one coax line. In addition, the LNB still has 2 more standard SAT connections. In total, 6 receivers / tuners can be used simultaneously. In SET #T install the Unicable LNB on the satellite antenna. Only one coax cable to the server receiver is needed. The LNB also has 2 additional connections (Twin LNB). 2 tuners are used by the Satmedia Home AllinOne receiver. The remaining 2 Unicable tuners are available for additional devices. A 4-way splitter is included in the package. Your joy will be doubled. 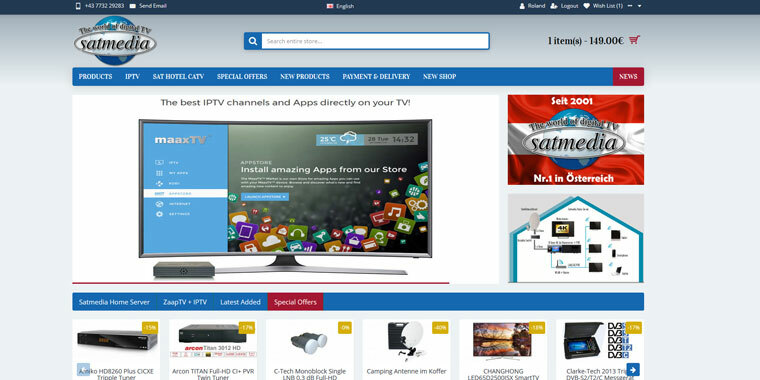 Watch a program and record in parallel up to 4 further programs (on 2 different tuners). You can flexibly and easily use the receiver's card reader to receive encrypted premium offers. Just put a smartcard in the slot and start your pampering program. Use the USB ports or network to experience your holiday pictures, favorite music or videos on the connected large HD screen. Stay seated, sit back and relax. Your media is just a touch away. Live TV, moments, sports highlights, movies also, of course, music TV in brilliant colors and pin sharp resolution thanks to FullHD / 1080p. Connect the receiver via HDMI or the digital audio output with your home theater system and experience rich sound.